Shri K.R. Pandav Institute of Pharmacy, Maharashtra was established in 2006 under the management of Sanmarg Shikshan Sanstha. The educational institute is approved by all India Council for Technical Education, New Delhi. It is affiliated to Maharashtra State Board of Technical Education (MSBTE), Mumbai. The mission of the college is to provide world class Pharmacists of high professional standard with human values. Shri K.R. 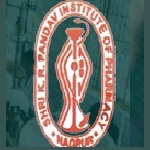 Pandav Institute of Pharmacy is situated in Nagpur city of the Maharashtra state. Shri K.R. Pandav Institute of Pharmacy is well-equipped with modern infrastructure within the campus. Students can reach the college by public transport at economical rate. The college has well-experienced faculty members with most of them with their doctorate degrees. The college has all facilities with necessary instruments in its campuses. The laboratories are also equipped with latest instruments. The college has spacious, well-equipped and well-maintained classrooms with all teaching aids. There are other facilities like analytical instrument room, computer room, workshops, machine room, tutorial hall, machine room, seminar hall, hostels, cafeteria and transportation facilities. It has also offers extracurricular activities like NSS, NCC, cultural programs, sports, etc. The placement cell guide students in training and placement process for choosing right profession. The Placement cell of the college organizes on-campus interviews. To help students with the placement process, the college co-ordinates with students so as to enable them to get training in the best of industries.